Real Estate in Queenstown is a boom industry. Being an area of such outstanding natural beauty, means it's becoming even more desirable to live here. If you know what you're looking for there are people to help to you find it. It's never been a better time to invest in Queenstown Real Estate, and there are plenty of places to help you do it. 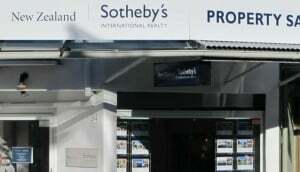 Buying property in New Zealand is a lot easier than many overseas countries. Once a contract is signed and a deposit paid, the deal is legally binding, meaning few people pull out, and gazumping is rare. You might also be after property and land for commercial purposes, which have different rules and regulations. But there are lots of Queenstown companies around to help. Queenstown Property Limited covers Queenstown, Wanaka and Arrowtown, as does Harcourts, Hoamz and Bayley's. Locations Realty utilises local people to search and show available properties, while the smaller, boutique agencies such as Ray White and Steve Lindsay guarantee that personal touch. For commercial requirements, Colliers covers the whole Otago region. Ideal for that vineyard you've been after.